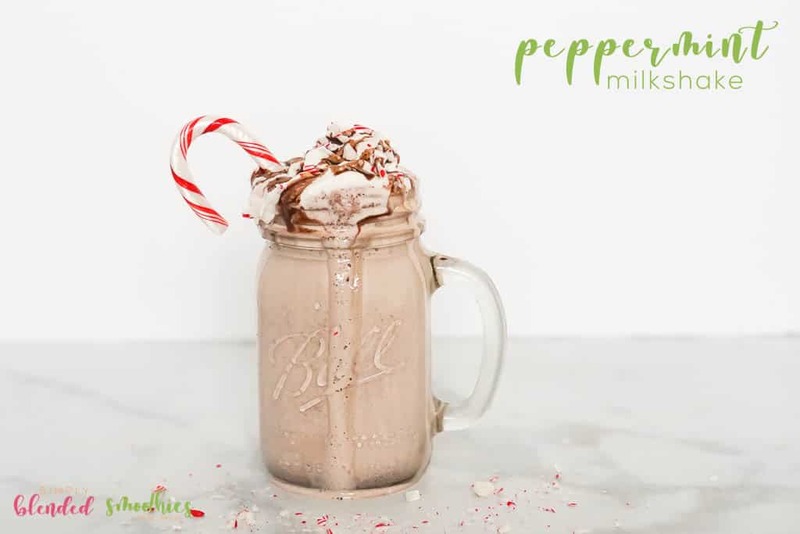 I wanted to take the next few weeks and shift my focus to all things GREEN, green smoothies and green milkshakes (oh yum) and so today I am excited to share what is probably my all-time-favorite milkshake ever: a Mint Chocolate Chip Milkshake! 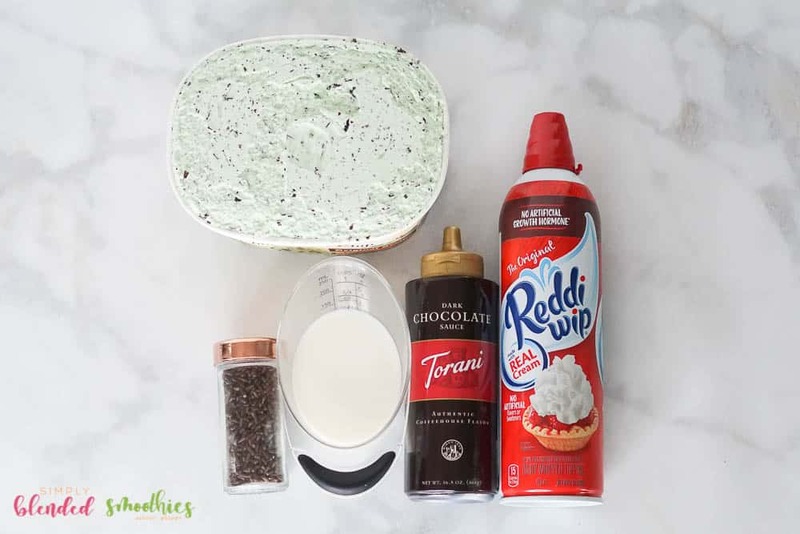 I have always loved mint chocolate chip ice cream, it has always been a favorite of mine, and so making this in drinkable form is a win-win in my book! And while we are talking about green milkshakes, do you remember the Shamrock Shake? I believe that you can still get them every March…aw it brings back childhood memories. But this mint chocolate chip milkshake blows any shamrock shake out of the water! It tastes better, you know what ingredients are in it, and it isn’t oddly neon green. 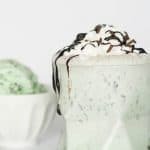 This Mint Chocolate Chip Milkshake is better than any shamrock shake and you can make it at home. Surprise your kids when they get home from school with this and they will think you are the coolest mom (or dad, or grandparent or babysitter or aunt or uncle etc) ever! Really. 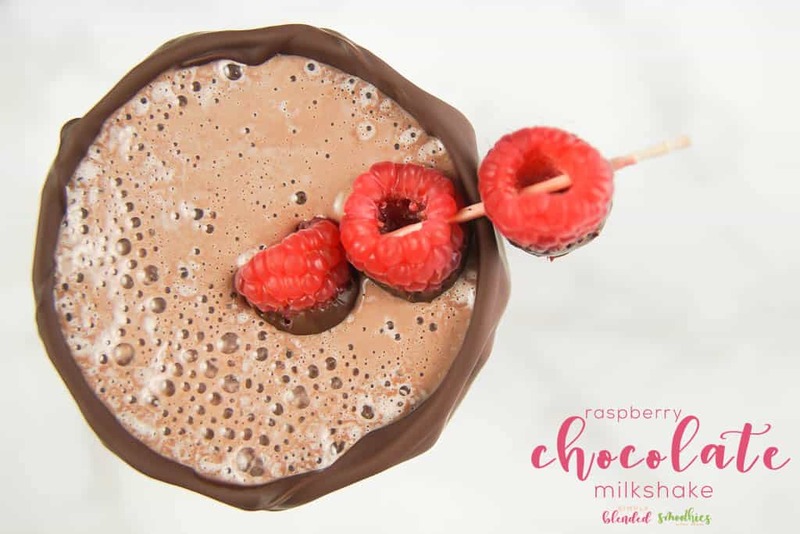 My kids beg me to make them milkshakes all the time and this is a go-to because everyone loves it! 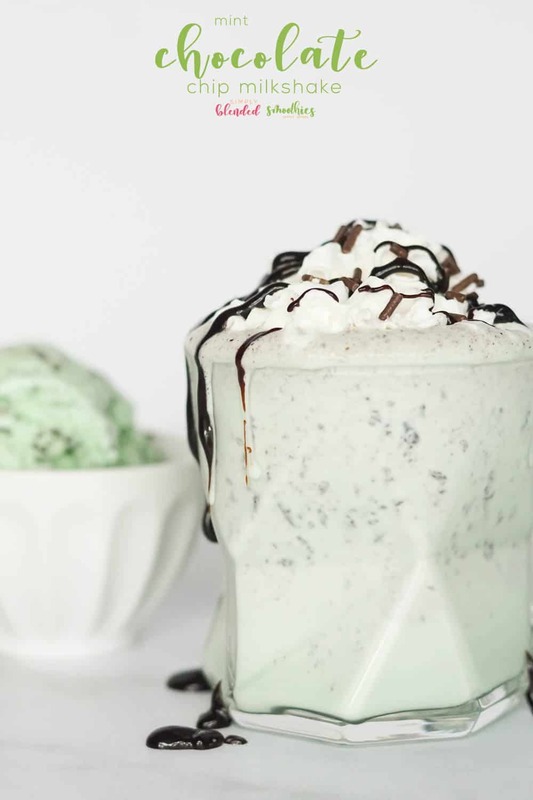 Keep reading to snag my recipe for a Mint Chocolate Chip Milkshake. I really did love a shamrock shake back in the day, but then I tried one recently and it just tasted syrupy and overly sweet to me. Yuck. So this mint chocolate chip milkshake gives me a similar minty flavor, but without the syrupy sweet yuck. 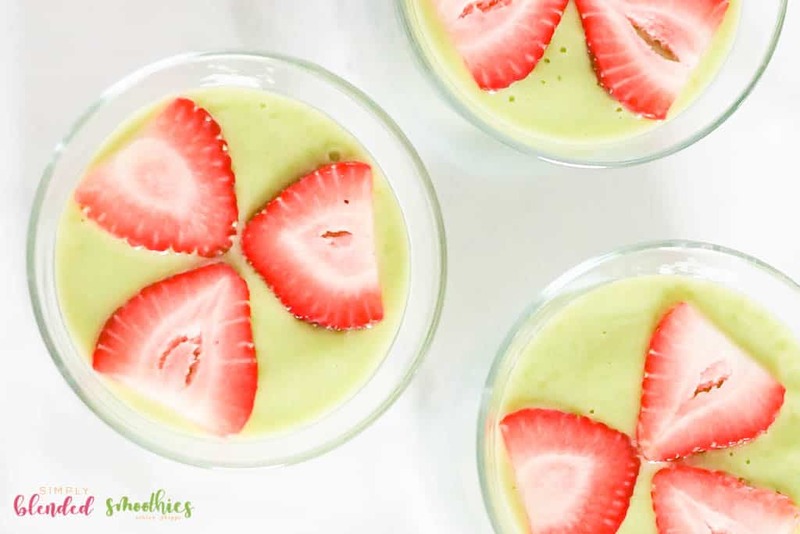 It is easy to make and only takes a couple of ingredients too! Two to be exact. This recipe requires only 2 ingredients! Woot woot! Now, many people ask me, how do you make a thick shake? The answer is pretty simple. Use lots of ice cream and as little milk as possible to make the shake drinkable! The other key is to not over blend it! You can use a blender to make this if that is what you have. Just don’t let it mix too long or it will become runny. A blender will also blend the chocolate chips so your shake will be brown in color. It will still taste mint chocolate-y, but it won’t look mint-y anymore. I ended up purchasing this milkshake maker because of its good ratings and reasonable price: Classic DrinkMaker. It is not a commercial milkshake maker, but it gets the job done at a fraction of the cost and is better for making milkshakes then a blender if you want to keep the integrity of color and if you want a thick shake. Scoop the ice cream into the milkshake maker cup. Mix until well blended and smooth. Pour into a glass and top with whipped cream, syrup and sprinkles if desired! 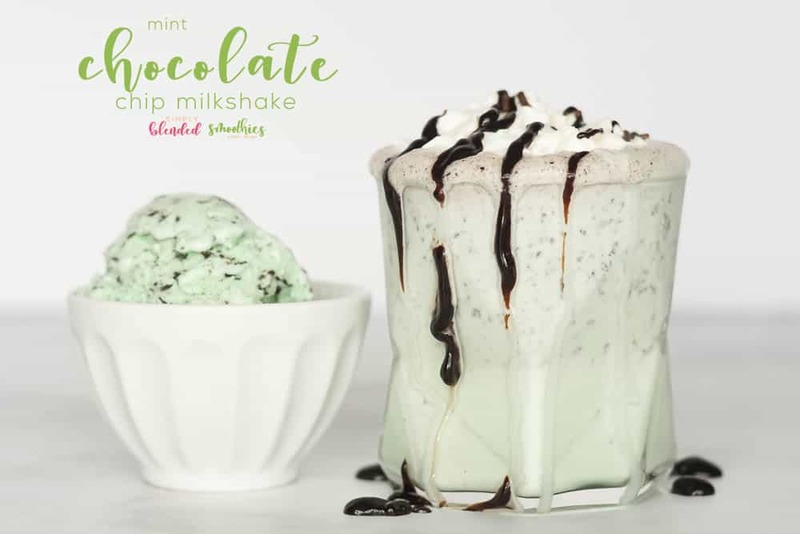 This mint milkshake is so easy to make at home, tastes way better than a shamrock shake, but is absolutely delicious and such a treat! See how easy it is!? 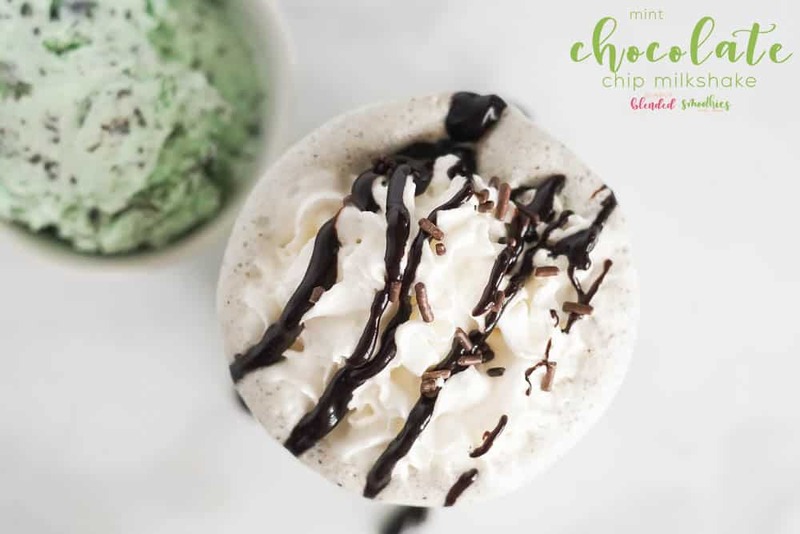 This mint chocolate chip milkshake only requires 2 ingredients and is such a delicious treat!